Trans-media and cross-media have been around since the 1960s, but it has never been surrounded by so much attention as now. In this development, the film industry is central. New storytelling forms, new players and new financing and revenue opportunities are waiting to be explored. A look at current Danish trans-media initiatives. “Trans-media” usually refers to projects that aren’t tied to a single medium. Either because they unfold across several different platforms, e.g., combining TV and the Web. Or because they contain elements of several different media, e.g., combining video games and film. At the Danish Film Institute, the talent programme New Danish Screen maintains a special focus on the phenomenon. To artistic director Jakob Høgel, it’s important to try out trans-media opportunities. He’s seeing a new development in the field of documentaries. New Danish Screen has had a hand in this shift. November 2012 saw the premiere of 48 Hour Games, an interactive documentary by director Suvi Andrea Helminen and game producer Dajana Dimovska. The project is based on Nordic Game Jam, an event where young video game developers over one frantic weekend developed an entire video game from scratch. It was all caught on video – and the user will now create her individual version of the Nordic Game Jam story by picking her own way through the material. Picking certain clips triggers rewards and there are small games to be played along the way, including those developed by the teams featured in the film. 48 Hour Games is produced by Mikael Windelin for Minerva Film. The project is released at 48hourgames.com. A pressing aspect of trans-media that needs to be resolved is revenue options. How do you sell something that’s available online or involves multiple platforms? Cloud Chamber, launching this spring, is a Danish example of this strategy. The project, a trans-media fictional story, is produced by Vibeke Windeløv and Stinna Lassen, directed by Christian Fonnesbech, with Fabian Wullenweber as the episodic content director, and features a cast starring Jesper Christensen and Sara Hjort. The story is set in an online science fiction universe and brings together film, video games and social media. Solving a mystery about a secret signal from outer space, users have to work together online to find out what really happened – in the past and in the future, on Earth and in the rest of the universe. Fonnesbech, the director, explains the business model. Cloud Chamber is supported by New Danish Screen. The game is expected to go fully online this spring. Apart from new storytelling forms and business models, trans-media involves new players in creative development and financing. This takes new networks and skills for working together across industries. An important initiative in this regard is the National Film School of Denmark’s new programme, European Cross Media Academy (EUCROMA), which offers graduate students from all over Europe training in a trans-media approach to animated films and video games. The programme was launched in 2012 and will initially train 200 students over the course of three years. 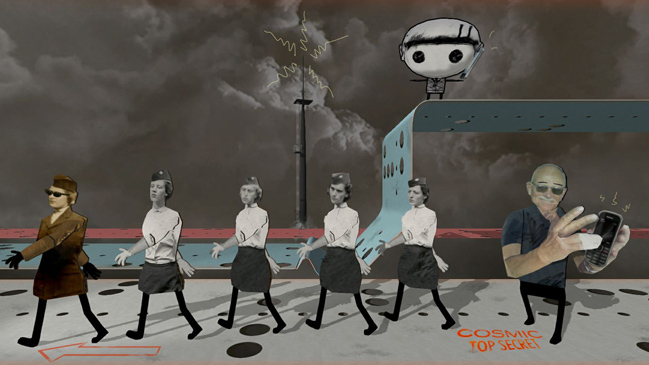 New Danish Screen has supported two projects this year that develop National Film School graduate projects: Petter Madegård and Jakob Balslev’s Cinema dell’Arte, blending animation and live motion-capture, and Trine Laier and Lise Saxtrup’s The Cosmic Top Secret Experience, a platform game and autobiographical documentary hybrid. Another initiative is PIXEL JAM, an annual three-day networking workshop organised by New Danish Screen and other partners. The aim here is to develop original concepts, make new contacts across the worlds of film, gaming, TV, music and the Web, and bring creative people together with commercial interests to help out with the continued development, financing and distribution of the projects. And most recently the trans-media platform SWIM (Scandinavian World of Innovative Media) was launched. Through collaboration and synergies across the Øresund region (Copenhagen, Malmö and Helsingborg), the aim of SWIM is to develop new industry tools and projects and improve funding opportunities. Ten projects are chosen for development for a period of 8 months, and the first application deadline is 18 March 2013. SWIM is an initiative by CPH:DOX with New Danish Screen as one of the partners. Finally, there are the film festivals, whose markets are increasingly focusing on new networks and financing opportunities. “Trans-media has become a very important part of certain festivals. IDFA is raising its profile and there’s the market in London, which is probably the international leader in interactive productions. Last year, four Danish projects were pitched,” Høgel says, referring to the London Film Festival’s trendsetting Pixel Market, where 30 trans-media projects are selected to meet with 100 potential investors and decision-makers. The four Danish projects last year were Cinema dell’Arte and The Cosmic Top Secret Experience, along with Let’s Dance – A Casual Game about Death by the Kong Orange digital agency with support from DFI’s Games programme, and World Online Orchestra Project by the Copenhagen Phil symphony orchestra in partnership with the Makropol media agency. 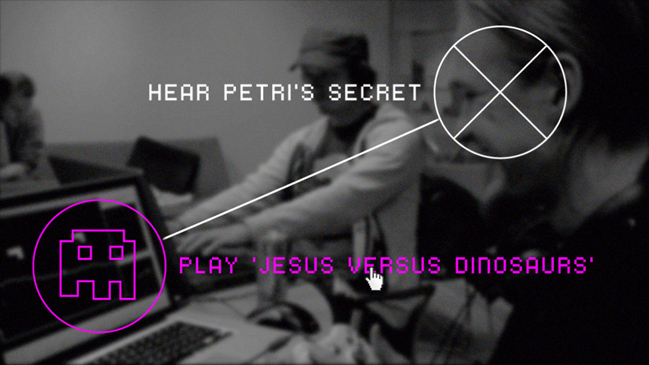 How to recreate the creation of a video game, as it took place over one frantic weekend during Nordic Game Jam. Director Suvi Andrea Helminen Script Dajana Dimovska Producer Mikael Windelin Produced by Minerva Film Support New Danish Screen. Play it at 48hourgames.com. The viewers become detectives in a science-fiction drama where they have to solve a mystery by decoding a signal from outer space. Directors Christian Fonnesbech, Hans Fabian Wullenweber Producers Vibeke Windeløv, Stinna Lassen Produced by Windelov/Lassen Interactive Support New Danish Screen. See interview with Christian Fonnesbech at Vimeo. 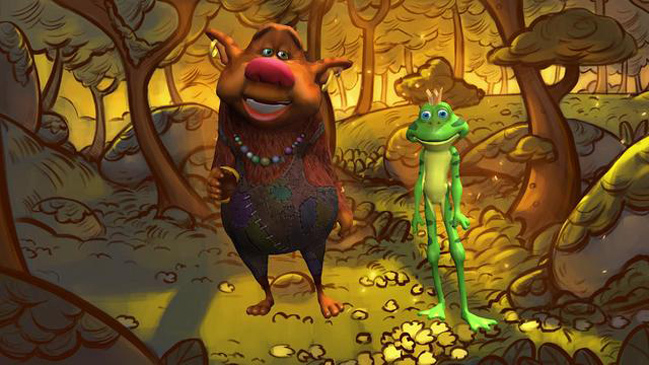 A live-animation theatre where the actors interact with the audience from the screen through motion-capture technology. Director Petter Madegård Producer Jakob Balslev Produced by Cinema dell’Arte Support New Danish Screen. See more at cinemadellarte.dk. An animated documentary game about T who is searching for answers about her father and his Intelligence work during the Cold War. Director Trine Laier Producers Lise Saxtrup and Dajana Dimovska Produced by Klassefilm Support New Danish Screen. See more at ydersthemmeligt.dk. 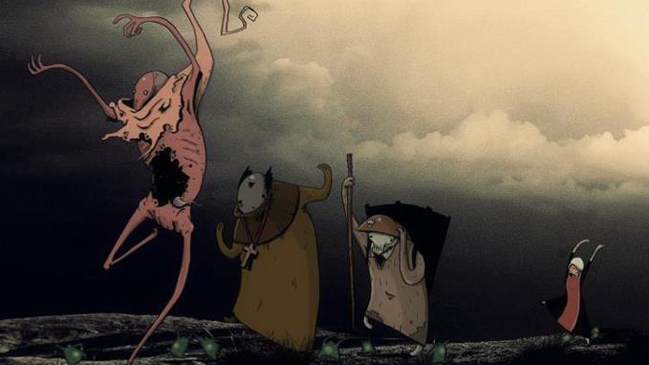 The player is Death dancing his fatal dance through the world, presented on the backdrop of an animated cultural history of Death. Director Mikkel Maltesen Producer Esben Kjær Ravn Produced by Kong Orange Support DFI’s Video Games programme. Read more at kongorange.com. The ambition of the Danish Film Institute’s talent development programme is to give new generations of filmmakers as well as professional-grade directors the opportunity to push their limits and create new experiences for cinema and television audiences. The programme is also designed to give room for manifest talents in other areas to make a career change and try their hand at filmdirecting. 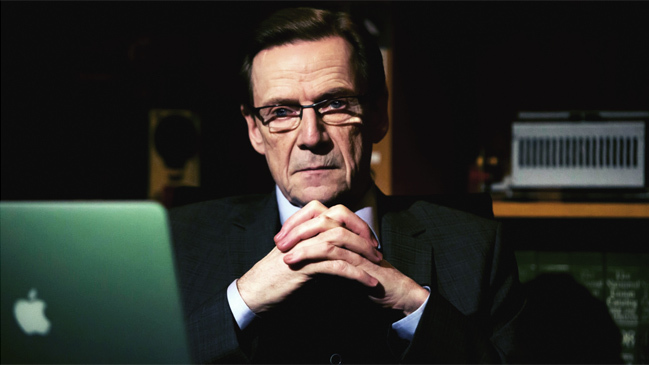 Operated jointly by the Danish Film Institute and the national broadcaster DR and TV 2.